The latest and greatest edition of Firefox, known as Firefox 4, was just released a few days ago in an official worldwide release. Upon looking at it for the first time, it appears to be a great update to the Mozilla Firefox browser containing immense speed improvements. And if there is anything a browser needs these days to stay in the game, it is fast, and I mean fast, speeds. You can attribute that need to Google's shot at an internet browser with Google Chrome, which is one of the fastest growing internet browsers on the market. But just because Mozilla added faster speeds to Firefox 4 to combat Google Chrome does not mean Google Chrome is just sitting there taking it. On the exact same day that Mozilla launched Firefox 4, Google pushed out Chrome 11 in beta form. 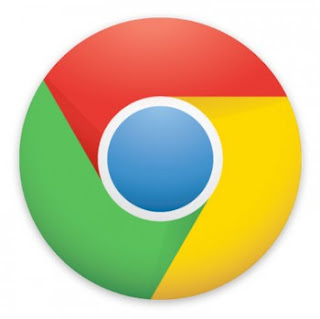 At first glance, Chrome 11's beta may appear to be no more than a reason to show off the new Google Chrome icon. However, if you dig deep, you will realize that there are a few amazing things to be seen, things you won't want to miss. One new feature for Chrome 11 is added support for HTML5's speech input API. What this means is that you will have the ability to talk to your computer while Chrome 11 interprets it. For those of you tech savvy folks that have already gotten the hang of this via an Android device or other mobile platform, this is something you will definitely love. One thing to note is that this is an HTML5 spec so it is not Chrome 11 specific, any internet browser can use it. Though if you want to use it right now, you have to get the Chrome 11 beta. According to reports about the talk to text feature, the program works quite well. You speak whatever you want to say and the browser is able to transcribe your speech into visible text on the screen. The best part is that you don't need to install any annoying Flash player or plug-in, it just works. Another feature of the Chrome 11 beta is an initial take on GPU-accelerated 3D CSS, according to Google. This will allow website developers to create sites with 3D effects using CSS very soon which, like the talk to text thing, is very cool. As version numbers of internet browsers have been rapidly increasing, Google says that it does not like bragging about new version bumps. However, this one is still pretty cool and should be in stable form very shortly. Source: TechCrunch - On Firefox 4 Day, Chrome 11 Hits Beta With The Ability To Talk To Your Computer!